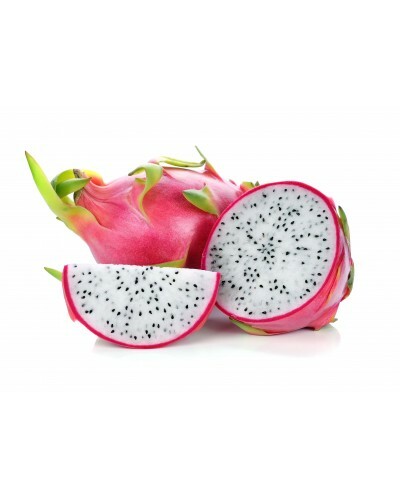 White Dragon Fruits' white flesh and the tiny black seeds distributed across the flesh of the dragon fruit are edible and nutritious. 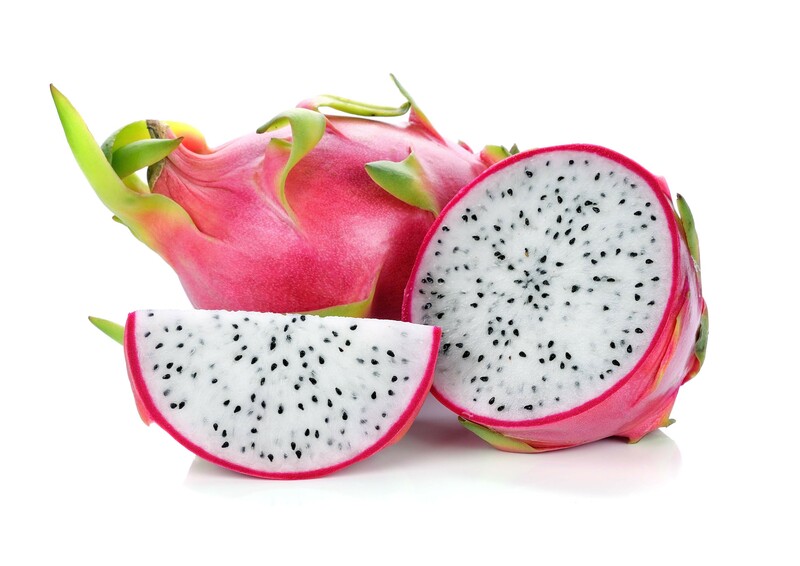 White Dragon fruit is also low in calories and can offer several health benefits when consumed in moderation and as part of a balanced diet. 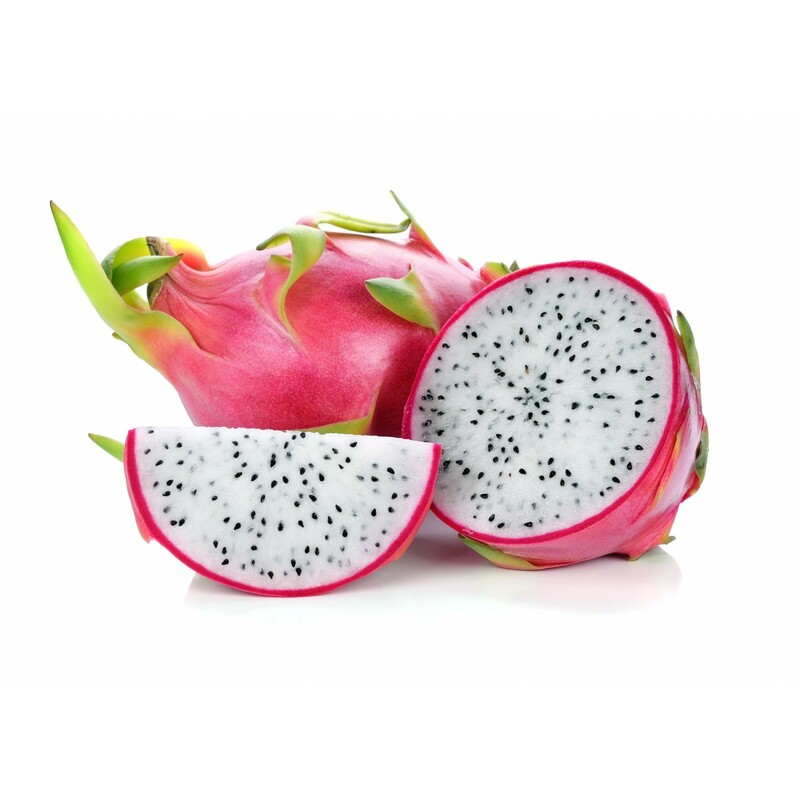 In addition to its nutritional value and health promoting effects, the dragon fruit is praised for its appetizing crunchy texture and refreshing, sweet flavor which is like a cross between kiwi and pear.